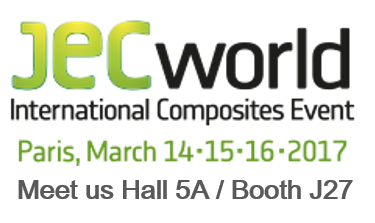 Composites Distribution & Imatec will be on booth 4UB30 - Hall B4, from April 10 to 12 in Hamburg. 30 years of excellence makes Composites Distribution the leader in composite materials distribution in Aerospace, Space and Defense. The high technical skills of our staff ensure Composites Distribution always gives the best service and makes them your best partner for composite production. Gurit has selected and certified Composites Distribution as OFFICIAL DISTRIBUTOR for its prepreg aerospace range. From 28-30 November 2017, Composites Distribution was at Aerospace & Defense Meetings Torino with IMATEC. Aerospace & Defense Meetings is the only international business convention for the aerospace and defense industry organized in Italy, tailored to your needs. In 2 days, all participating companies have the chance of meeting and build up targeted business relations and develop new projects with companiess from all over the world. For key players and primes A&DM Torino is a unique occasion to optimize research into new suppliers innovations and products: 870 companies, 26 countries represented. Composites Meetings will take place on November 8 and 9, 2017! 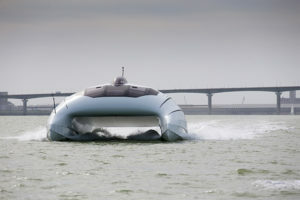 La société française Advanced Aerodynamic Vessels (A2V) a dévoilé cette année à La Rochelle, le prototype de son concept innovant de navire ultra-rapide à portance aérodynamique. Le surprenant bateau, aux lignes novatrices, a été conçu et réalisé dans le plus grand secret. Composites Distribution et le Groupe Gazechim ont fournis les matériaux composites (mousses, tissus, résines). Equipé de deux moteurs Mercury Verado de 200cv, cet engin pouvant embarquer 6 personnes est conçu pour dépasser la vitesse de 40 nœuds (représentative d'une allure de 60 noeuds pour un modèle équivalent de 25 mètres), tout en étant très économe en énergie grâce à la sustentation aérodynamique. Retrouvez l'intégralité du projet ici. 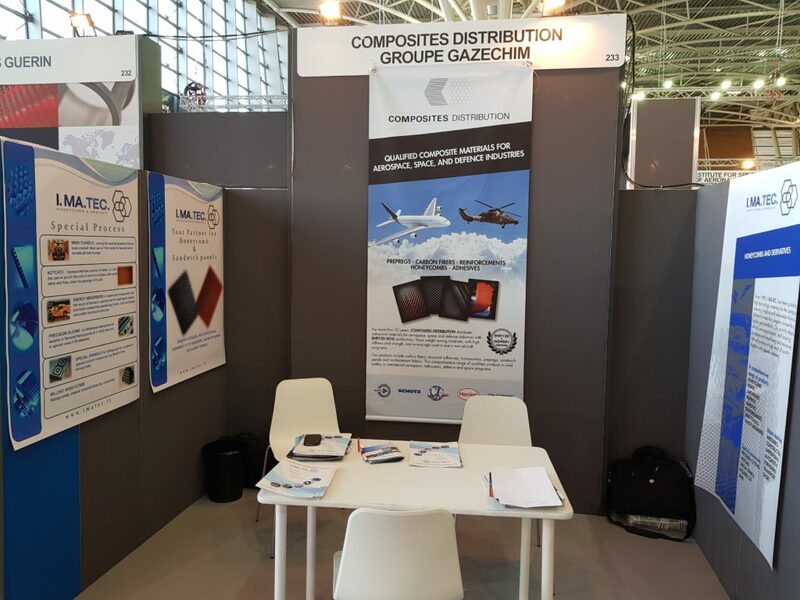 The Groupe Gazechim Composites stand at the Paris Air Show 2015 is co-located with Hexcel, a leading manufacturer of composite materials for aerospace. Groupe Gazechim Composites is an official distributor of Hexcel products, and their affiliate Composites Distribution has industry approval to distribute Hexcel’s aerospace materials, supporting the growing demand for composites driven by their greater use in aerospace structures. Hexcel appointed Groupe Gazechim Composites to enhance its service to the aerospace supply chain, in particular to respond to requests from its customers for smaller delivery volumes and short lead times. Partnering to Support MRO Activities As more and more composite-intensive aircraft enter service around the World there is an increasing requirement for airlines to carry out composite repair operations. Repairing aircraft quickly to minimize downtime means that small quantities of materials have to be readily available at all times. 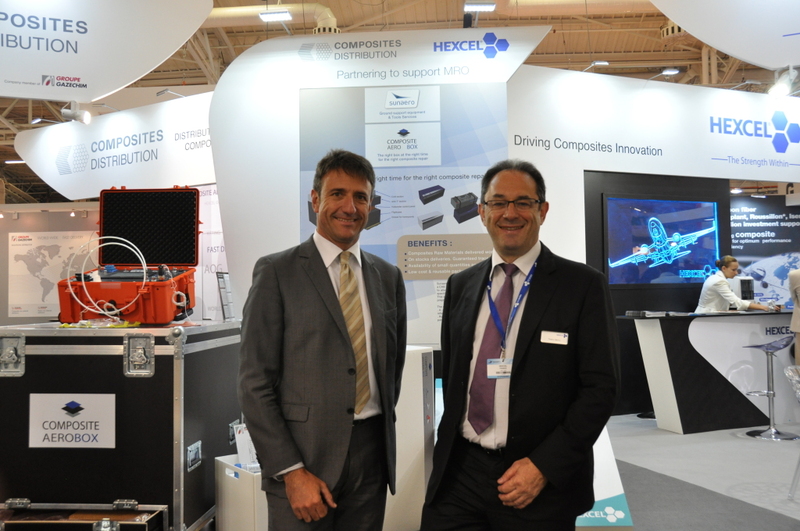 Hexcel and Composites Distribution are partnering to provide solutions for MRO that allow aircraft repairs to be carried out quickly and conveniently. Composites Distribution is launching the new CAB concept (Composite AeroBox) from Sunaero (Hall 2B, Stand B85). 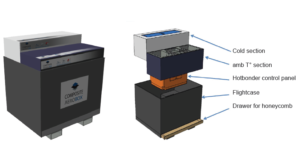 This efficient tool kit has different compartments for the storage of frozen prepregs, ancillary materials that are kept at ambient temperature and a hotbonder control panel, all contained within an easy to transport box that holds everything that is required for a quick repair of a composite part out in the field. Hexcel’s range of products developed for composite repair includes HexPly® M20 prepreg and HexForce® carbon fabrics. HexPly® M20 prepreg provides high temperature performance from a low energy cure cycle at 120-130°C (250-265°F) and can be processed out in the field using a vacuum bag and a heater blanket or hot bonder - or in an autoclave. These materials are approved by the Commercial Aircraft Composite Repair Committee (CACRC) that sets global aerospace standards for composite repair operations. 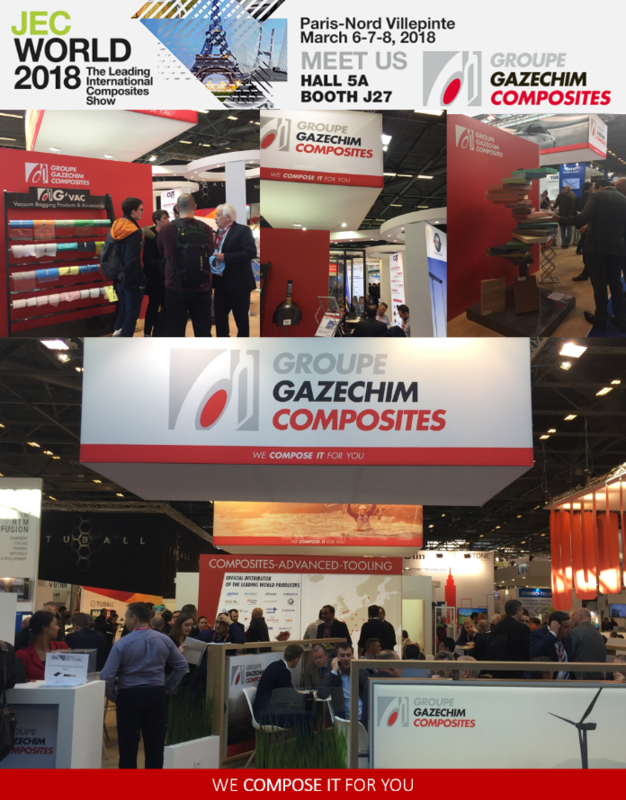 Groupe Gazechim Composites is a European network of 38 specialist distributors covering 23 countries, all certified to ISO9001 and EN9120, with over 40 years’ experience of supplying composite materials to all markets. Hexcel Corporation is a leading advanced composites company. It develops, manufactures and markets lightweight, high-performance structural materials, including carbon fibers, reinforcements, prepregs, honeycomb, matrix systems, adhesives and composite structures, used in commercial aerospace, space and defense and industrial applications. Composites Distribution, company member of Groupe Gazechim, is attending the upcoming MRO Aviation Week 2014 in Madrid on October 7/9th. MRO Europe gathers the leading companies of MRO market (Maintenance, Repair and Overhaul). Composites Distribution welcome you at stand 872.